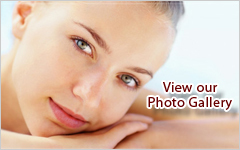 Blepharoplasty refers to surgery on the eyelids. A person can have fat deposits over the eyelids, drooping eyelids, eyelids with lots of folds or congenital defects of the eyelids giving an aged and dull look to facial appearance. Ageing skin contributes to loss of elasticity and can be a very notable aspect in giving a false appearance of tiredness. Surgery to remove fat in the eyelids, tighten skin and give a brighter appearance is a simple procedure under local anaesthesia. It is possible to combine this with other cosmetic procedures such as facelift, botox injection or fillers for enhancement of facial appearance.